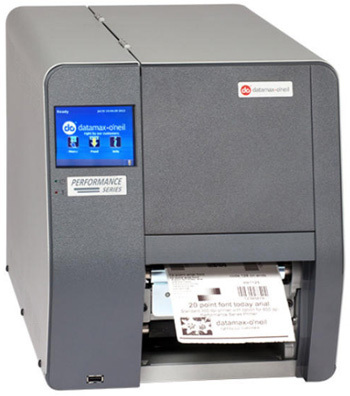 Datamax-O’Neil p1120n Performance Series | MIDCOM Data Technologies, Inc.
Datamax-O’Neil brings renewed energy to the thermal printing industry with true workhorses engineered to perform effortlessly in some of the harshest settings. The Performance Series is a new, innovative platform designed from extensive user research that offers superior print quality, auto-load capabilities, user-friendly color touchscreen, unparallelled print registration and an industry standard printer language, PCL5e. reflective black mark on bottom or top of form. Core. Ribbon length up to 1968’ (600m).